Here are two examples of research posters. 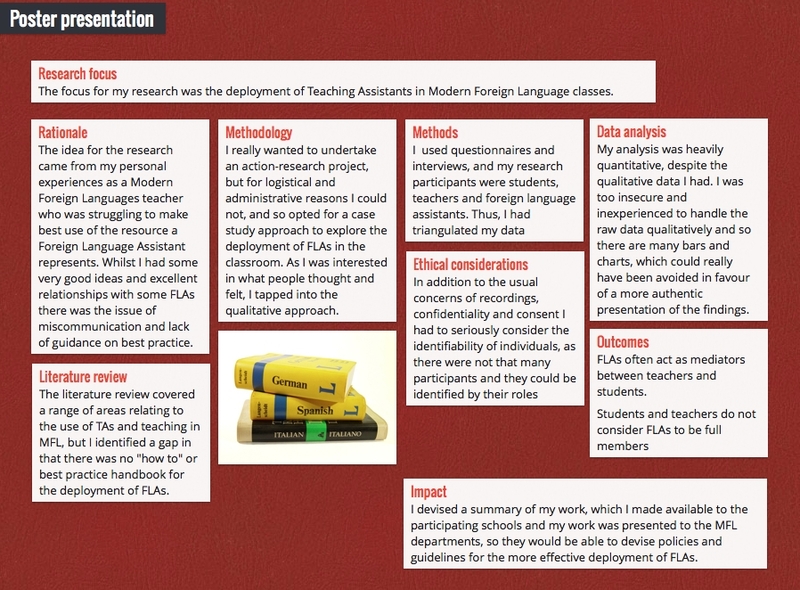 Download the “Assistants in Modern Foreign Languages” poster here. 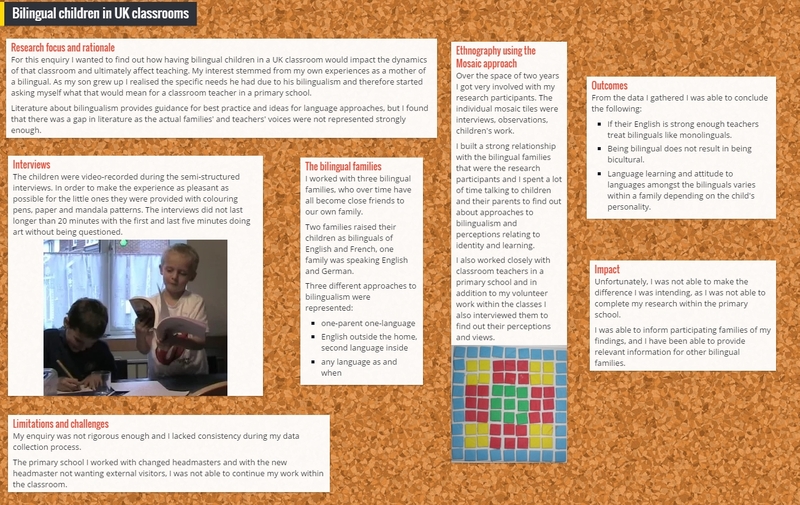 Download the “Bilingual children in UK classrooms” poster here.